"A causing B" and "B causing A" which we call a quantum switch. Such a setup is similar to some predator–prey relationships, in which predator numbers influence prey numbers, yet prey numbers also influence predator numbers. 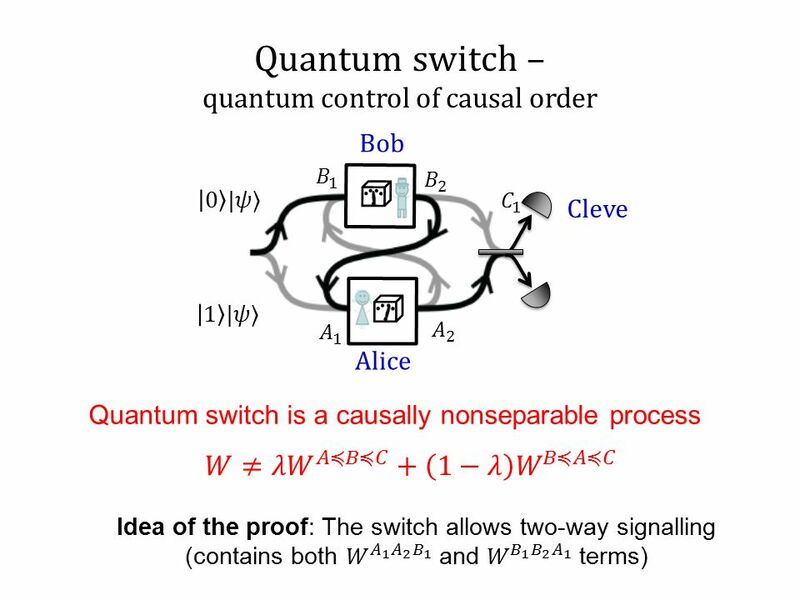 Following work that Ognyan Oreshkov, Fabio Costa, and I published in 2012, we now know that the quantum switch is just one example of an indefinite causal structure, in which it is not defined whether event A is a cause or an effect of event B, or whether the two are independent. The answer depends on what exactly you mean by "fit", but, generally speaking, there do not seem to be direct applications of indefinite causal structures for classical computing. Indeed, the interest of techniques like the quantum switch$^\dagger$ (aside from the purely fundamental aspects) is that they provide methods to create non-classical correlations, and more generally encoding quantum information (e.g. qubits) into "causal" degrees of freedoms, as nicely shown in Figure 1 here. In other words, one could imagine a quantum computer in which the qubits are encoded into (a)causal structures. However, apart from the notable impracticality of storing and maintaining many qubits encoded in such a way, it is also not known how one could apply operations between them. Interestingly, in at least some limited form, this is possible, as recently demonstrated in 1712.06884, where two different such qubits were entangled, and the associated Bell violations observed. It is not known if or how one could scale such experiments to more qubits. $^\dagger$ It is worth mentioning that there have also been at least two (to my knowledge) experimental demonstrations of indefinite causal orders: 1608.01683 and 1712.06884. Not the answer you're looking for? Browse other questions tagged classical-computing or ask your own question. What is the difference between signaling and non-signaling quantum correlations, and what is a signaling channel? What makes quantum computers so good at computing prime factors? Does quantum computing relate to stochastic computing in any way?